Welcome to the City of Thorold located in the heart of the Niagara Region, just five minutes from St. Catharines and ten minutes from Niagara FallsNiagara Falls. Thorold Tourism is flourishing as an ideal spot for sports and family fun. The Thorold tourist attractions include historical sites, nature trails, parks and playgrounds. 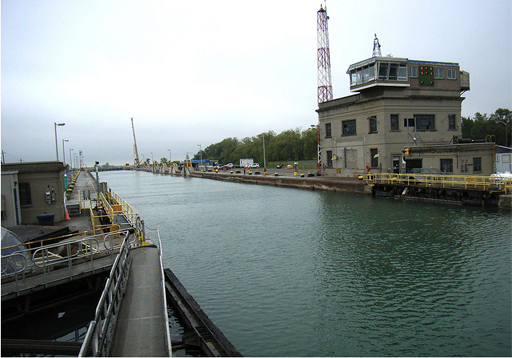 The Welland Canal, which passes through the city is a paved recreational trail that attracts tourists from different parts of the country. Some of the important historical sites in the region are Decew House, The Old Fire Hall, Chestnut Hall, St. Johns School House, Maplehurst, Welland Mills and Beaverdams Old Methodist Church. If you are with your kids and family, visit the Mel Swart Lake Gibson Park. Moving westward on DeCew Road you will find Lake Moodie, Morningstar Mill and Decew House. Hiking, fishing, mountain biking and horse riding are your interest, go to Short Hills Provincial Park. At the centre part of Thorold around downtown you have the Battle of Beaverdams Park, is a park with historical displays and walking paths and swings. For sports enthusiasts McMillan Sports Park with Baseball diamond is located at the Carlton street. At the corner of Elgin and Sydenham Streets, you have Sullivan Sports Park with baseball, playground, and splash pad facilities. The other parks of the city are Hutt Park on McDonagh Crescent, Confederation Park on Confederation Avenue, C.E. Grosse Park on McMann Drive, and at the south of Thorold on Ontario Street you have McAdam Park. The Regional Municipality of Niagara is located in Thorold. The City of Thorold include the longest underwater tunnel in Ontario known as Thorold Tunnel, is constructed late 1960s enabling thousands of vehicles to cross the Welland Canal. The Thorold Tunnel is 840 metres long and has two separate tubes. Photosensors are integrated with the tunnel for proper lighting and the air in the tunnel is frequently checked for safety.